Uncharacteristically, Myanmar's Ministry of Information-run newspaper, the Burmese-language Myanma Alinn Daily, levelled commentary toward neighbouring Thailand. It is uncharacteristic, because until of late, the paper and the Ministry of Information itself has generally refrained from commenting on the politics of other nations. And not only did the Ministry of Information-run newspaper comment on Thailand's politics, it did so in a way supporting a wider Western-crafted narrative attempting to undermine the legitimacy of Bangkok's current government in order to pave the way in the region for yet another American-European backed political front, the first being that of Aung San Suu Kyi in Myanmar itself. 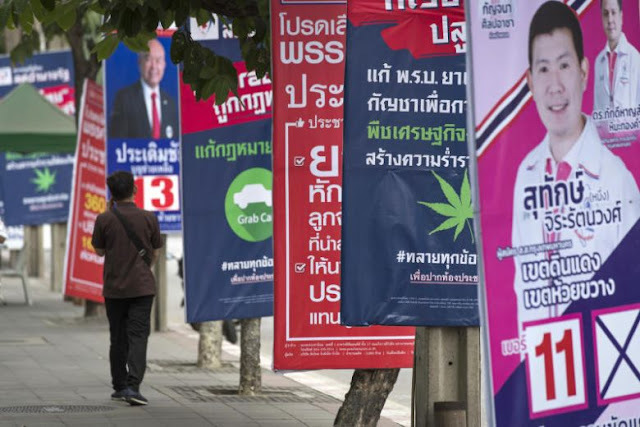 A state-run newspaper in Myanmar says Thailand risks "substandard" democracy if a military-backed draft constitution is approved in a referendum on Sunday. The irony of the comment is hardly lost on voters and political observers alike across the region. For decades Myanmar suffered economic stagnation under harsh military rule while Thailand was seen as an Asian "tiger" economy with extensive freedoms and a developing democracy. "If the draft of the constitution in Thailand were to be approved in the upcoming referendum, the democracy in that country would become substandard and limited," said an editorial in the Burmese-language Myanma Alinn Daily, which is run by the Ministry of Information and rarely comments on politics in other countries. Zaw Htay, a spokesman for Aung San Suu Kyi, asked if the editorial reflected the government's official position, referred questions to the Ministry of Information. Formerly a doctor with a degree from the Institute of Medicine, U Pe Myint changed careers after 11 years and received training as a journalist at the Indochina Media Memorial Foundation in Bangkok. He then embarked on a career as a writer, penning dozens of novels. He participated in the International Writing Program at the University of Iowa in 1998, and was also editor-in-chief of The People’s Age Journal. He was born in Rakhine State in 1949. To understand why Pe Myint's training at the Indochina Media Memorial Foundation in Bangkok (IMMF) is key, readers must turn to Wikileaks and a US diplomatic cable titled, "An Overview of Northern Thailand-Based Burmese Media Orgranizations." Other organizations, some with a scope beyond Burma, also add to the educational opportunities for Burmese journalists. The Chiang Mai-based Indochina Media Memorial Foundation, for instance, last year completed training courses for Southeast Asian reporters that included Burmese participants. Major funders for journalism training programs in the region include the NED, Open Society Institute (OSI), and several European governments and charities. A number of active media training programs attract exiles and those from inside Burma to Chiang Mai for journalism courses ranging from one week to one year. These training programs identify would-be journalists who are active in communities inside Burma, as well as NGOs in Thailand, and help them secure reporting positions with Burmese media outfits in the region. The training programs help ensure that future generations will be able to succeed the founders of the current organizations. In a refreshing take for U.S. diplomats interacting with foreign media, the exile journalist community here remains steadfastly pro-American. Groups such as DVB and The Irrawaddy continually seek more input from U.S. officials and make frequent use of interviews, press releases and audio clips posted on USG websites. A live interview with a U.S. diplomat is a prized commodity, one even capable of stoking a healthy competition among rival news organizations to land a scoop. A 2006 Irrawaddy interview with EAP DAS Eric John multiplied into several articles and circulated widely throughout the exile community and mainstream media. In essence, US-European government cash is being used to construct an entirely parallel media network both inside and outside Myanmar. And it was from this US-European network that the current Minister of Information was drawn. 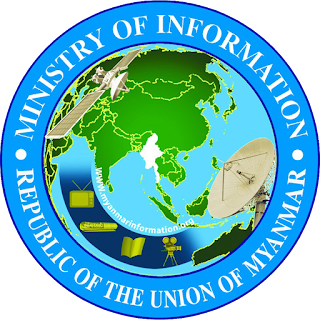 Pe Myint, even as recently as this year, still participates in US government-funded activities, including the January 2016 Information Symposium (.pdf) held in Yangon. His "goodwill" toward the US and its interests are likely still a residual effect of the large sums of money Washington and the capitals of Europe have invested in him as he worked his way up into the highest levels of power within Myanmar's government. Likewise, the US runs a variety of other training programs and NGOs focusing on governance, law, legislation, education and many other aspects a modern nation-state needs to function, but also aspects Myanmar already has. The purpose of creating an alternative system parallel to Myanmar's existing institutions is to eventually reach critical mass, achieve regime change, then completely replace Myanmar's existing institutions with those completely controlled by the US government and the special interests it represents. It is, in other words, the manifestation of modern-day imperialism, the same imperialism Myanmar had fought against nearly a generation ago to escape, only to find itself now fully enveloped by again. That the current Minister of Information in Myanmar is using his position and the state's newspapers to propagate narratives in line with US and European geopolitical interests, and the fact that he was quite literally trained by the US State Department's ecosystem of NGOs in Southeast Asia is no coincidence. This is precisely how global centres of power throughout the entirety of human history have exercised and projected their power far beyond their borders, across the globe in hegemonic pursuits. Myanmar's unravelling national sovereignty, with institutions at the highest levels of power now virtually run by the US State Department and its army of collaborators, is a warning to the rest of the region regarding both the true purpose and objectives of foreign-funded NGOs and the threat to national security they truly represent. Finally, it is worth looking back at the history of European colonialism to understand just why in any given nation there are those willing to trade national sovereignty, freedom and independence for a role, however minor, in the hegemonic designs of a foreign power. Perhaps there is no better way to put it than the words published in the "International Journal of African Historical Studies," in a paper titled, "African Collaborators and Their Quest for Power in Colonial Kenya," by Evanson N. Wamagatta. [Referring to collaborators] They were collectively "an indispensable channel through which the dictates of imperial rule are handed down; and up through them are transmitted the responses and reactions of the governed." There were many individuals who aspired to collaborate because the allure of what colonialism had to offer. Collaboration attracted those who hoped to benefit from the wealth, power, prestige, and influence derived from the colonizers, and thereby preserve or improve their social, political, or economic standing. Myanmar has little to gain itself, as an independent nation, risking a diplomatic row with neighbouring Thailand by commenting on Thailand's internal politics. 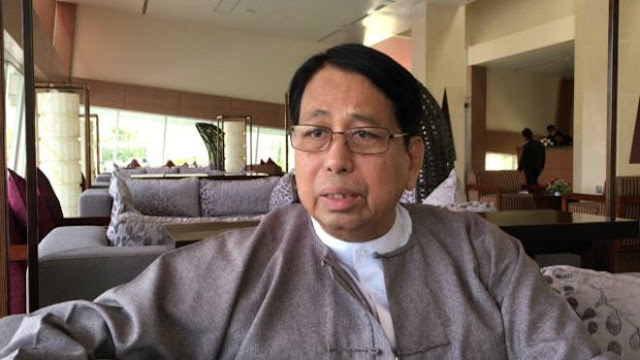 However, it does have much to gain as an intermediary for the United States and Europe, or at least Minister Pe Myint does. While Reuters refers to "irony" regarding what it claims is a reversal of regional roles for Myanmar and Thailand, the real irony lies in Myanmar posing as a freer nation today, despite being closer than ever to reverting back to its days under foreign subjugation.